We are the #1 custom t shirt, banner, sticker, button, & promotions brand in Atlanta, GA. We serve several major brands, schools, families and your everyday hard working citizen. With our service, you can expect high quality design and fast turn-around. We started as a t shirt printing Atlanta brand and have now grown to serving people nation-wide. With Home Team, there are no setup costs, no minimum order limits, and no art work fees. We make custom printing easy. We take orders online as well as have two direct locations in Georgia at South Dekalb Mall (Decatur) & Greenbriar mall (Atlanta). Here you can design a funny, brand or team t shirt in just a few hours. Every order is reviewed by an expert artist, to ensure your custom designs are exactly the way you envision them. High quality printing comes from years of printing experience and a use of top-notch inks. We are committed to producing well made, long-lasting designs. Our prints will last wash, and our garments will come free of defects. Our in-store experience is one of the best in the game. All our stores are modernly designed and made simple for our customers to turn their visions into reality. We believe in putting the customer first. We have several different garment styles for men and women. As well as clothing for any seasons and colors for every age. Our staff is friendly and dedicated to every single order. If you are looking for a printing shop for your latest design look no further. We got you. 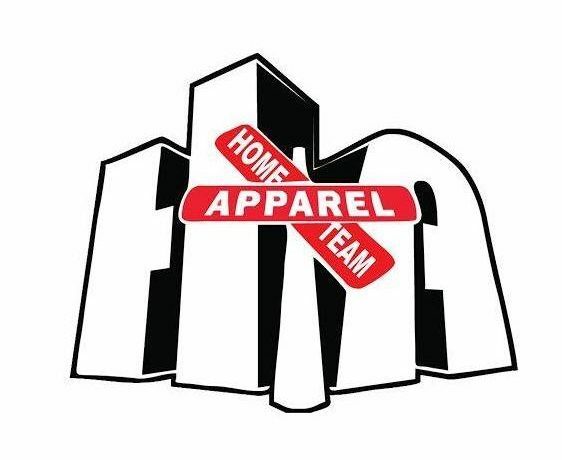 At Home Team Apparel, you can trust that you are in good hands.